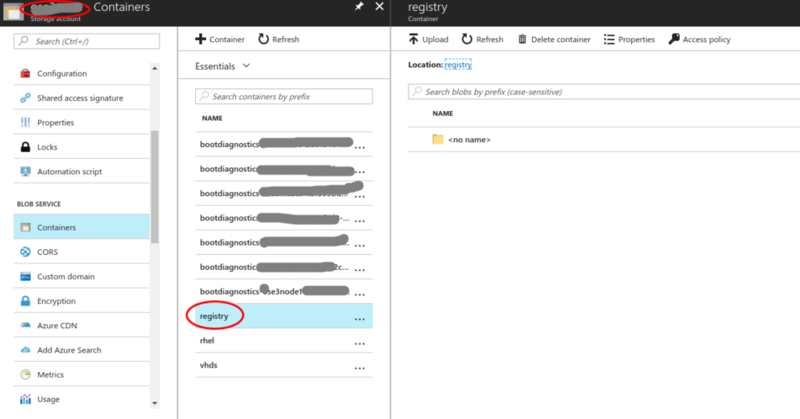 Following my previous post, I’m explaining how to use Azure Blob Storage for OpenShift internal docker registry storage. By default, OpenShift internal docker registry uses an ephemeral disk for storage. However, you can use Azure Blob Storage for docker registry storage. This technology depends on Azure storage driver for Docker. You can set up Azure Blob Storage in advance. You should retrieve storage account name and storage account key. And you should create a container for the registry. Now, save below yaml file as a registry-config.yaml. Please replace <***> with your Azure Blob container values. Execute below commands as cluster-admin. Now new registry pod will be running with Azure Blob storage.